1. 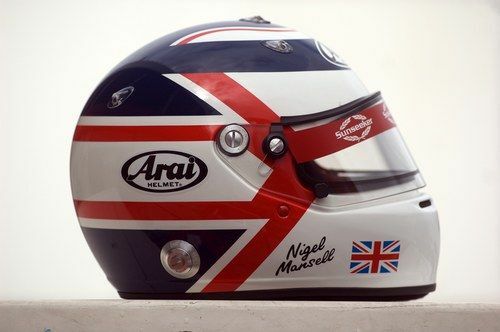 Nigel Mansell (1980-1992, 1994-1995)- There's something about the moustached Mansell which stands out to me, he's probably the reason I started watching F1 with my parents. Having a Brit winning his championship in 1992 brought a new wave of fans to F1 in the UK and I was one of them. In a time when drivers didn't have a number that they kept through their career, Mansell became famed for his 'Red 5' on the nose of his car. 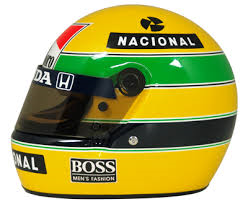 After winning his F1 championship in 1992, he went to America and won the Indy car title in his first season, before returning to F1 after the death of Ayrton Senna in 1994. 2. 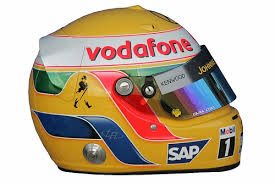 Lewis Hamilton (2007-present) - Having watched him develop over the last 10 years since his debut in 2007, his talent is obvious. 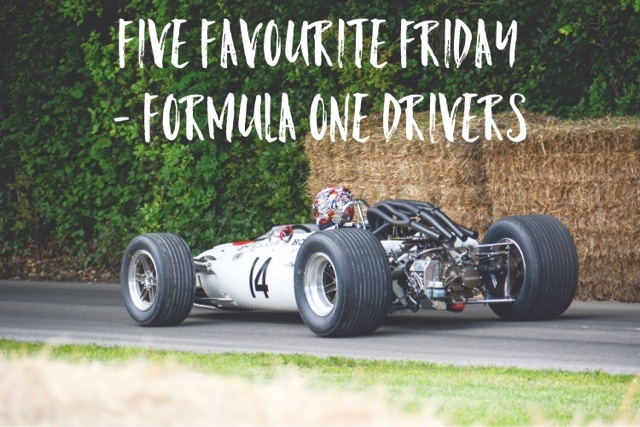 Although arguably he could have achieved more that the three world championships he has already won if he'd had more reliability last season and possibly concentrated on driving rather than partying. That being said, it's nice to see to a personality in the sport again as a lot of the drivers merge into one entity. 3. Michael Schumacher (1991-2006, 2010-2012) - The greatest Formula One driver... quite possibly. There's very little I can say about that hasn't already been said about him. 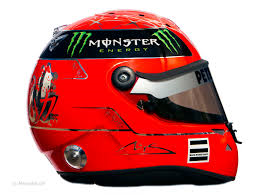 I didn't agree with some of his antics to win grand prix and champions, but his will to succeed and haul, in particular, Ferrari to the top and then continue to win title after title was immense. 4. Ayrton Senna (1984-1994) - Senna can definitely be mentioned in same breath as Schumacher and was an inspiration to Lewis Hamilton when he was growing up. Another multiple champion on this list, and had the potential to achieve more if were not for his untimely death at Imola in 1994. 5. 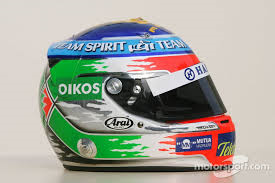 Giancarlo Fisichella (1996-2009) - Fisichella was a driver that I really liked and I don't think he ever really fulfilled his potential. I spent more time than I should have done growing up playing F1 Manager, and he was a driver that I always tried to get to my team. He endeared himself to me by qualifying quickest when we went to collect my second cat, so our cat ended up being called Fisichella, Fisi for short. 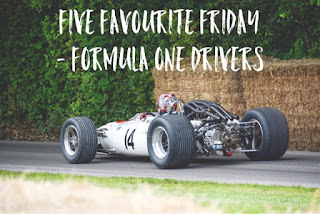 Honourable Mentions this week go to James Hunt, a man that lived up to his legend, and Jenson Button, the driver that I like to think I'd be if I ever drove an F1 car, conservative but fast and a master of wet conditions. You can find out who Nikki has chosen on her blog. I'm looking forwards to next weeks post as we'll be looking at our favourite 'Krispy Kreme Flavours'!